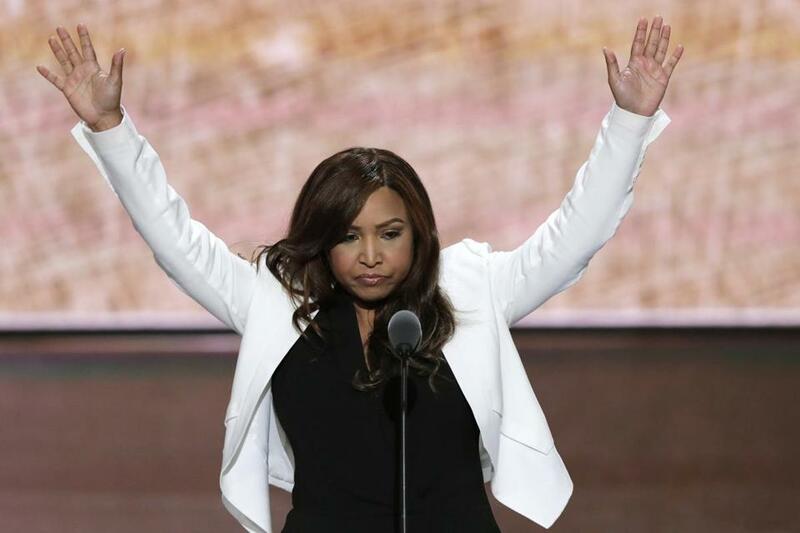 Lynne Patton, then working for the Eric Trump Foundation, waved during her speech at the Republican National Convention in Cleveland in July 2016. The top federal housing official in New York, Patton is getting an up-close look at the city&apos;s troubled public housing developments. Lynne Patton, the New York-New Jersey regional administrator for the Department of Housing and Urban Development, plans to spend weekdays for the next four weeks living in four different New York City Housing Authority buildings. Patton will spend weekends at the apartment she shares with her boyfriend in Trump Tower, the Manhattan high-rise developed by her boss, President Trump. Posts on Patton’s official Facebook page on show her moving into the Patterson Houses in the Bronx on Monday, sharing pizza with her hosts there, and taking part in an aerobics class. The city’s housing authority, by far the nation’s largest with 400,000 residents, has long been plagued by problems including rodents, mold, and heat and hot water outages. But Patton cited ‘‘gross mismanagement’’ and a ‘‘longstanding culture of deception and ‘cutting corners’ with respect to day-to-day operations’’ in a Facebook post.